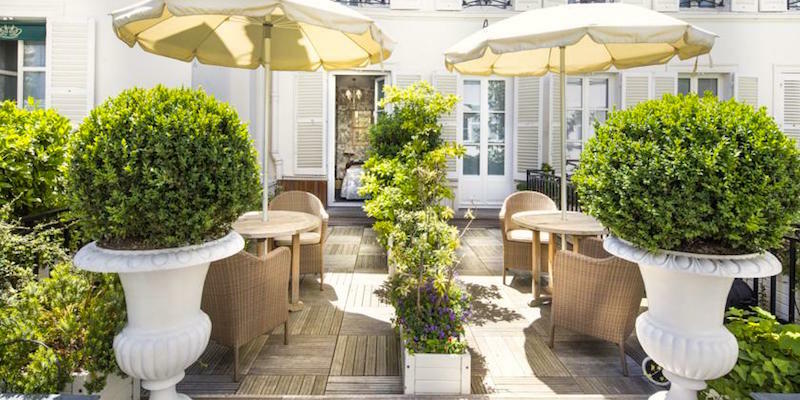 There are more than 1500 hotels in Paris, so you'll need to narrow your focus to choose one that suits your needs and desires. But don't worry, we're here to help you do just that. 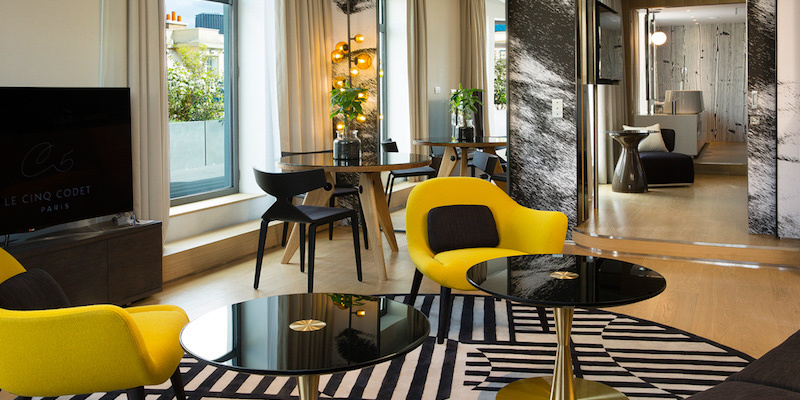 We'll tell you about neighbourhoods, hotel ratings, the types of hotels you'll find in Paris, and take you through the process of choosing a hotel that will make your trip that much more memorable. 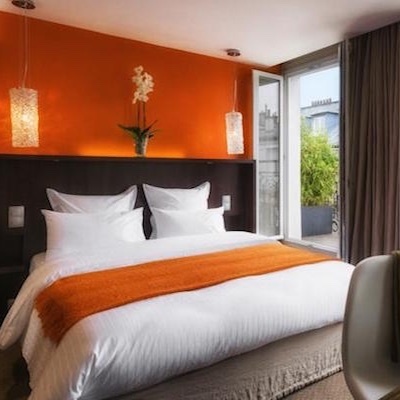 We'll also tell you what you need to know about what to expect from a Paris hotel in terms of service, elevators and stairs, size, dining options, and other useful traveler information. 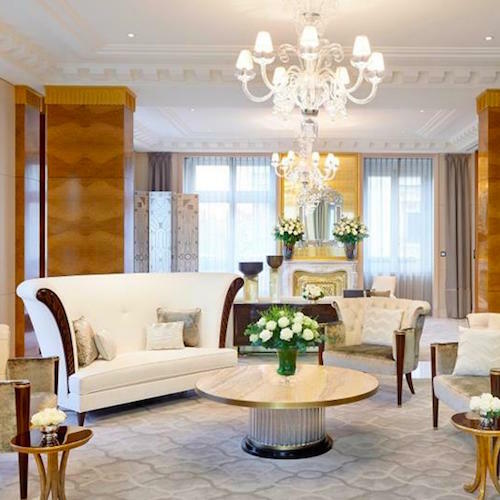 Paris is a fabulous city to visit, and finding just the right hotel will make your visit even better. 2 — Travelers who want a complete experience, who want to make the most of their short time in Paris, who want to be treated just a little bit special. For these folks a great hotel experience is part of the package — be it romantic, charming, cozy, or downright luxurious. We, dear reader, are most definitely in the latter group. 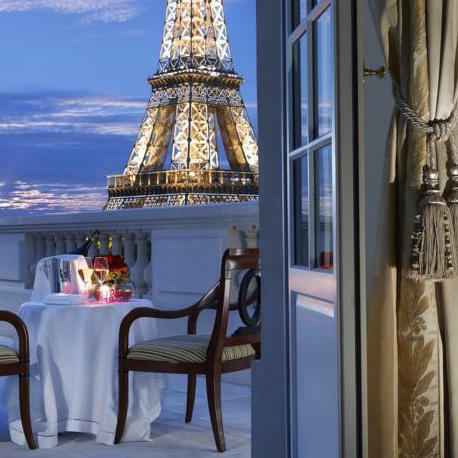 And we want you, too, to feel special while you're in Paris — to make every aspect of your trip something to look back on with fondness. We don't want to direct you to uncomfortable accommodations or hotels located in the outer limits of Paris. 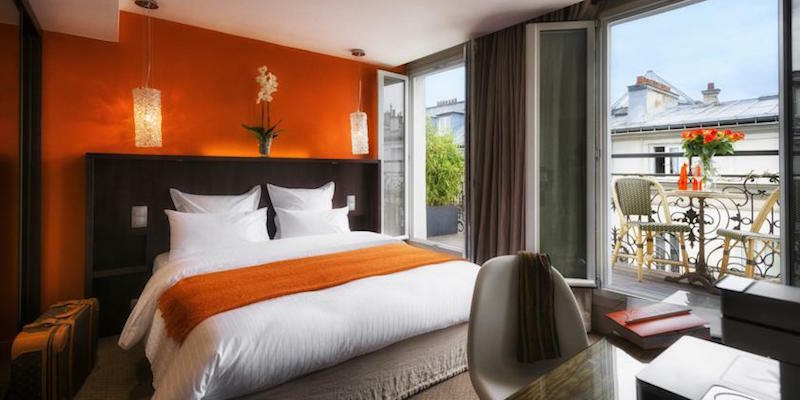 When we send you to Paris we want you to have a nice level of comfort, even in hotels that are affordable. Those are exactly, and only, the types of hotels we'll recommend. Let's start with a little bit of basic Paris hotel information. It's very rare to find a hotel that does not have an elevator, but be sure to check. It's also very rare to find a hotel with a large elevator. The buildings in the center of Paris date from before the invention of lifts, as our British friends call them, and they have been retrofitted into whatever small space can be found. You may have to send your bags up in more that one trip. The easiest and best way to get around in Paris is to use the Metro system. It's cheap, easy, safe and gets you anywhere you want to go on one ticket. So, try to choose a hotel that is convenient to a Metro station. Our advice is simple. You're going to want to be located in a central neighborhood, near a Metro stop, with a boulangerie nearby, and close to the things you want to see. If you have a room with a view, so much the better! 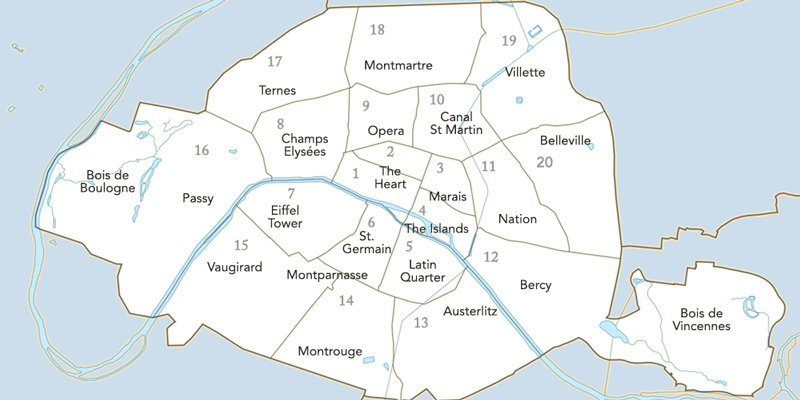 Paris has 20 official administrative districts, called arrondissements, but we also like to think of Paris as a collection of distinct neighborhoods that may or may not be defined by an arrondissement. 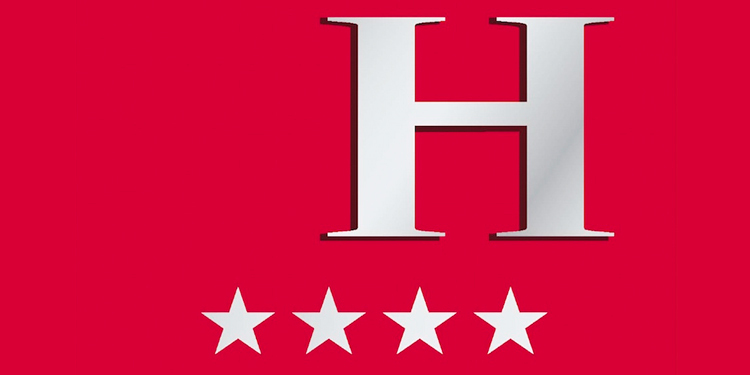 On virtually every hotel building, website, booking site or review you're bound to see each hotel rated with stars. How do you interpret these ratings? Well, there are stars and then there are stars. An official French government tourist agency inspects all hotels and awards between one and five stars, or the ultra-luxe Palace designation. The government rating system is based on room size, bathrooms (hotels with shared bathrooms can't get above one star), the size of the reception area, if the staff speak another European language, and, for the 4- and five-star ratings, valet parking, room service, and large-sized rooms. The handful of hotels that are awarded the Palace designation have things like Michelin-starred restaurants, a high staff-to-guest ratio, luxurious decor, perhaps a spa and pool. Compared to what some of us may be used to, Paris is a crowded, expensive city where space is at a premium. So it stands to reason that, in general, Paris hotel rooms will likely be smaller than places you've stayed in other cities. Expect to be a little cozy, but that doesn't have to mean uncomfortable. Look for rooms with enough storage space for your clothes, luggage and other items. Being able to keep a room neat and tidy will make it that much more comfortable. If you're going to have a computer, find a room that has desk space and free WIFI as well. Oddly, some of the most expensive hotels still charge a fee for Internet connection. Room service is not a common feature in Paris, except, again, in upper-tier hotels. Most hotels do offer a breakfast (often in a converted basement cave) but we recommend you instead go to a nearby boulangerie or café for croissants and café crême. By the way, don't expect an "English" or "American" style breakfast in Paris. It's coffee and pastry, perhaps with some fruit.